The latest draft of India’s National E-Commerce Policy includes a number of measures to crack down on pirate sites. Among other things, intermediaries will be required to restrict distribution of copyrighted content while search engines will have to purge their results of identified pirate sites. With close to half a billion broadband subscribers, India is undoubtedly a global powerhouse in the connected arena. Add the thirst of its citizens for free media into the mix and it’s clear why copyright holders are keener than ever stem to tide of pirated content. Thus far we’ve seen huge numbers of sites blocked following requests to various courts. However, India is now looking to formalize its response to the many thousands of torrent, streaming, and similar sites facilitating access to infringing copies of movies, music, and other digital media. The latest draft of India’s National E-Commerce Policy outlines various strategies designed to curtail piracy, many of them taken from schemes already active in other regions of the world. 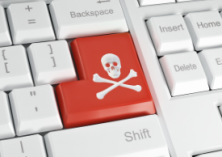 Intermediaries, such as Internet service providers, play a key role in the spread of pirated content but holding them liable for infringement can be difficult. The new draft states that they should “put in place measures to prevent online dissemination of pirate content” although at least for now, those measures are yet to be detailed. Intermediaries will also be required to identify “trusted entities” who should get priority when it comes to handling copyright complaints. Again, there is no detail on whose those entities might be but one can safely presume that movie companies will be at the forefront, with other content companies close behind. In any event, “The identification of trusted entity and anti-piracy measures shall be done on a voluntary basis”, suggesting that this element of the draft is not only open interpretation but also might come with an opt-out clause. The proposed rules seem much tighter when it comes to the actual platforms engaging or facilitating the spread of pirated content. When notices of infringement are sent by a copyright holder, ISPs will be required to “remove or disable access to the alleged content.” On first inspection, this seems to loosely marry up with the takedown provisions of the DMCA. After a verification process, these sites will be added to the “Infringing Websites List” (IWL), an initiative that appears similar to the database of pirate sites operated by the Police Intellectual Property Crime Unit in the UK. This will then allow authorities to take a range of measures to deplete their traffic and reduce revenues. First up, Internet service providers will be required to “remove or disable access to the websites identified in the IWL within set time-lines.” This differs from the process in the UK where a separate High Court order is required for blocking, even if a site is already present on the list. Secondly, India seems eager to prevent pirate sites from having access to revenue, whether generated by advertising or via subscriptions. The draft aims to prevent these payments from being processed. “Rogue websites earn their revenues through online payments made based on a subscription or advertisement revenue models. Such payments have to be routed through Payment Gateways, which shall not permit flow of payments to or from such rogue websites,” the proposals read. In addition, Indian advertisers and advertising agencies will be forbidden from placing their ads on sites appearing in the Infringing Website List. The proposals don’t indicate how this will be achieved or policed but if models in the UK and Europe are followed, participation is usually via trade group bodies. Finally, and perhaps most importantly, search engines operating in India will be required to “take necessary steps” to ensure that sites listed in the Infringing Website List do not appear in their search results. It is far from clear how this will be carried out or whether foreign companies will be prepared to comply. Google is by far the dominant search engine in the country with an estimated 95% of the market, so it will be most affected. It has also demonstrated a reluctance to remove links that aren’t clearly infringing but recent movement in Russia shows that the company is prepared to bend, when enough pressure is applied.